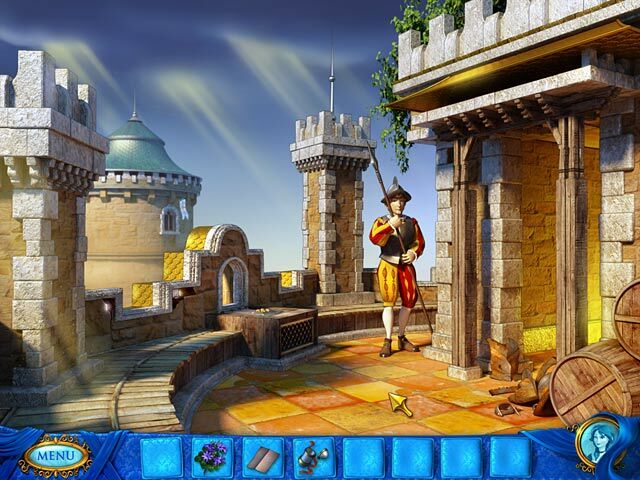 Princess Loreen and Prince Nathaniel have been kidnapped, and need your help to escape from a mysterious dungeon! 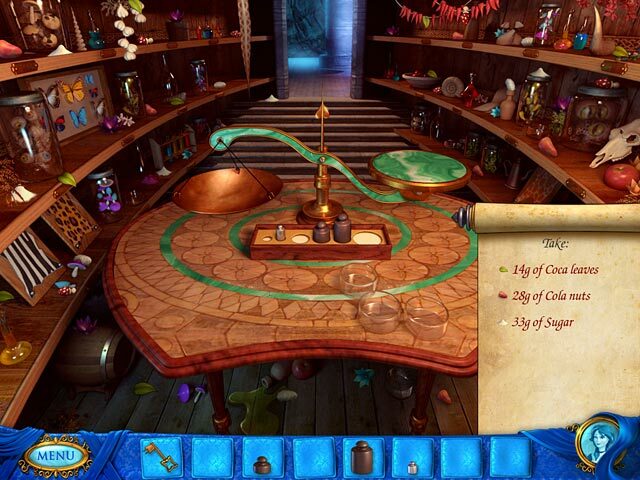 Control both characters and manage both of their inventories in Royal Trouble, a fast-paced Hidden Object Puzzle Adventure game! Navigate treacherous locations, and escape from the kidnappers before it is too late! 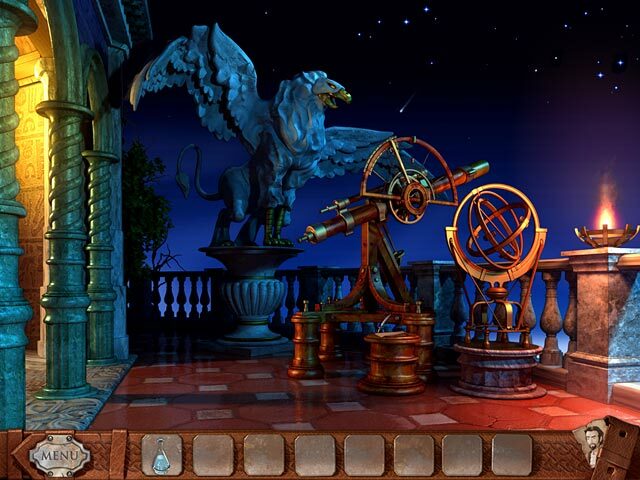 Teach Loreen and Nathaniel to work together in order to solve puzzles and reach safety. Royal Trouble is rated 4.5 out of 5 by 61. Rated 5 out of 5 by island930 from PHENOMENAL FUN!! This game is super engaging and you never get tired of it. I recommend this to anyone who loves a good mystery challenge. The graphics are exquisite and the sound quality is amazing. Any skill level player works from novice to expert. There are hints and achievements you can earn. Nothing is impossible with this game! 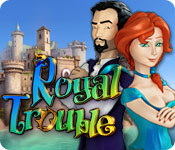 The storyline makes sense from start to finish and the creators of this game should make Royal Trouble 3. Thank you for creating this game and have fun playing!! Rated 5 out of 5 by Bumbles2 from Double Trouble between the 2 main characters and a whole lot of fun to play This is a wonderful adventure game that is a blast to play !!! This starts out when both Princess Loreen and Prince Nathaniel who are kidnapped and then imprisoned in separate dungeons...its your job to try and figure out what you need to do to get them out of there...and that's where their bickering and disagreements begin... which is more like flirting and teasing. You play each one separately as you investigate each room and area to find a way out of the dungeon and off the island. The artistry in this game is exceptional and very well done. The music is ordinary...it was ok but could have been a wee bit better in my opinion. This game kept my interest throughout and I particularly enjoyed the interaction between the Princess and Prince...which was both sarcastic and humorously romantic and I had quite a few smiles and giggles during their interactions !!! I totally recommend this entertaining game...a very pleasant and relaxing game to play where you can laugh at their many adventures and sarcasm !!! Try the demo and I think you'll be pleasantly surprised !!! Rated 5 out of 5 by ninda2 from something different I really enjoyed this game, it goes back and forth between characters. Its not the typical dark sinister games that most HOG are. A refreshing new idea, I always suggest trying before buying but I think you will like this one! Rated 5 out of 5 by TheDoctorIsHere from Definitely One of My Top Five Games! Cannot recommend this game enough! Rated 5 out of 5 by JulzCat from These Two Just Can't Get It Together! This game was LOADS of fun! I love games where you play two separate characters that have to work together from a distance to help one another, and this one certainly didn't disappoint! It was funny, original, and despite what the other reviewers here are saying, it took me quite a while to get through the whole thing. I thought the dialogue went on a bit long, but you can quickly click through it if you like. The hints and skips come available fairly quickly if you need them. I enjoy hints the way they have them set up, where it gives you just a piece of information at a time, so you can hopefully come to it on your own. I can't wait to play the next one and see what happens with the wacky couple! Rated 5 out of 5 by gamesrgreatfun from Hilarious Storyline!! This game was so much fun to play that I didn't want it to ever end! Unfortunately, it did end but I thought it was a rather long game at that. I've been playing more recent games (2016) but found this game on here that I hadn't heard of before. I am so glad I did!! It made for a very pleasant way to spend the day! The games they make now are full of so much hand holding you don't need to do any actual thinking, which is a shame. I'm ashamed to say that I have gotten used to all the interactive maps, and the sparkles all over the place to show you where every little thing is to do and I had forgotten how to search a scene properly! While I was trying out the game to see if I wanted to buy it I kept getting stuck!! Then I would have to push the hint button!! After I bought the game, I started over at the beginning and still had to think! Then my "Adventure Game" mode kicked in and I remembered you have to slow way down and search every nook and cranny of the scene to make sure you don't miss anything. I rarely used the hint button the rest of the game. Now, this hint system is run the way I wish all games were!! You click on the hint button and it opens a journal type book that gives you your current task that you should be working to accomplish. Sometimes this is all you need to know to jumpstart the old brain cells. Then there are other times when your brain just isn't with it and you need further assistance. There is a place to click to get more detailed help. Each time you click it you get a little bit more information to help you figure out what you should be doing. The great part is that when it dawns on you what you need to do, you can stop reading the hints and go do it!! Or if you're still stuck you can click to get the next hint. I love it!! I thought the mini-games were somewhat challenging, which is exactly how I like them! There were only a few HOS in the game and they felt more like mini-games to me. I thought they were fun also. I know that the newer games have better graphics and cut scenes but I thought the graphics were cute and matched the story. I thought it was a unique twist to the game to have to switch roles between playing the prince and the princess!! So much fun to see both sides of the story! Bottom line: This game had the perfect hint system. It was chockfull of humor. It was challenging but not impossible. Interesting storyline with all kinds of people to meet and help. It was loads of fun to play and I will replay this one several times!! If you think you might like it, download it and try the free trial. I think you might like it if you like quirky stories. Rated 5 out of 5 by tljlive from Surprisingly Entertaining Wanted to try this one first before I played Royal Trouble Honeymoon Havoc (I like to start in sequence). I really enjoyed this Graphics and colors. The story line was very interesting and funny. It wasn't at all too difficult or too easy to finish. I found myself having to think about things a bit to move on, but that was in the fun of it. Looking forward to Starting the Sequel really soon. Anxious to see the rest of the story. Glad it started with this one. Beautifully done. Rated 5 out of 5 by shrubbe2 from Hidden Gem Tried it out on a whim, glad I did! Wish there were more games like this.